The campaign’s end goal is to raise awareness and bring the two groups closer together under the umbrella motto of “Stay on the Safe Side”. Employing multiple interactive formats, the campaign communicates and draws attention to the most prevalent bad habits in road behaviour, along with common hazards and mistakes, and explains how to prevent them and work together to solve them. 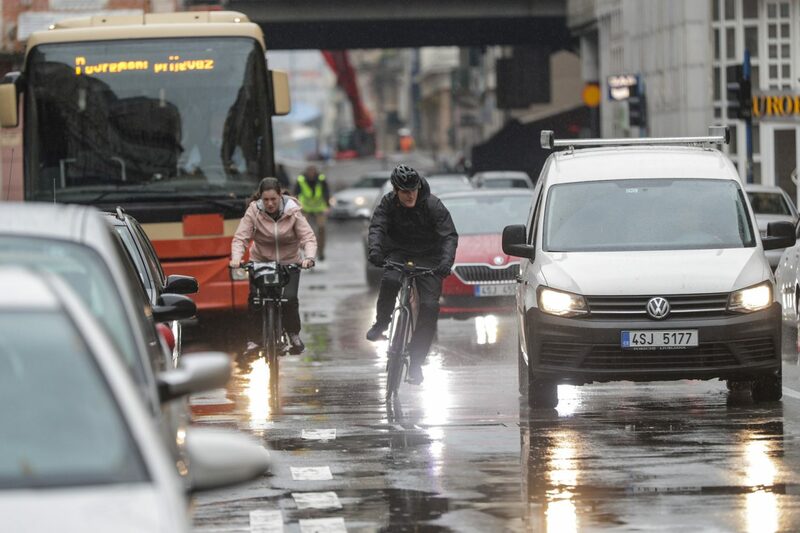 Extensive research identified the 18 most burning and widespread bad habits among two- and four-wheeled-vehicle users that need addressing. They include mutual overtaking and correct distancing during this manoeuvre, “dooring”, blind spots and general visibility. 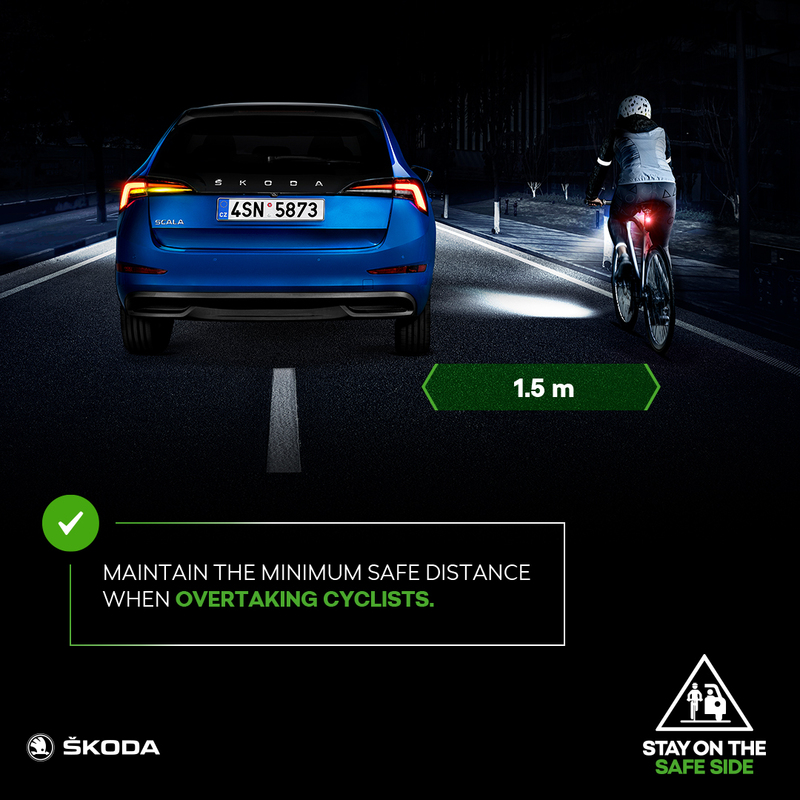 The research was conducted over a period of time by ŠKODA’s own Traffic Safety Department experts. They collaborated, among others, with the Czech police, a number of safety-focused sports gear and apparel companies (such as Garmin and POC), and prominent cycling athletes who regularly have to deal with road safety in their personal projects and activities, such as Jiří Ježek, the world-renowned Paralympic cyclist and ŠKODA’s own long-term We Love Cycling e-zine ambassador. They all helped to narrow down and identify the most common problematic situations. 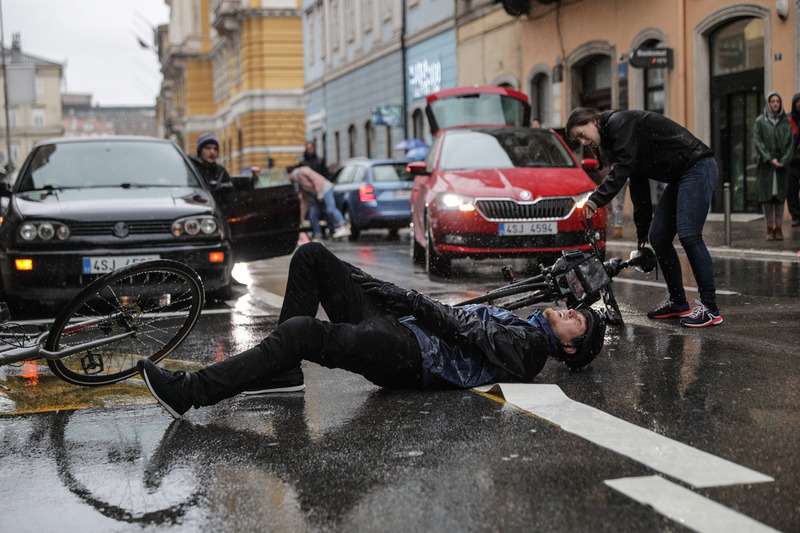 The photos used in this article were taken when the stunts were being filmed. “We may be a carmaker, but we were born back in 1895 on two wheels because our first product was a bicycle. We sponsor the Tour de France and other cycling races all around the world, we have a genuine passion for cycling, and that’s why we believe we have what it takes to moderate discussions between drivers and cyclists and guide both groups towards better co-existence and responsible road sharing,” says Josef Matějovič, the head of We Love Cycling, as he explains the background to the recent activity. This campaign dedicated to safety is a natural outcome of ŠKODA’s constant efforts to hone its own products in terms of safety – each existing model boasts a 5-star rating in Euro NCAP tests. 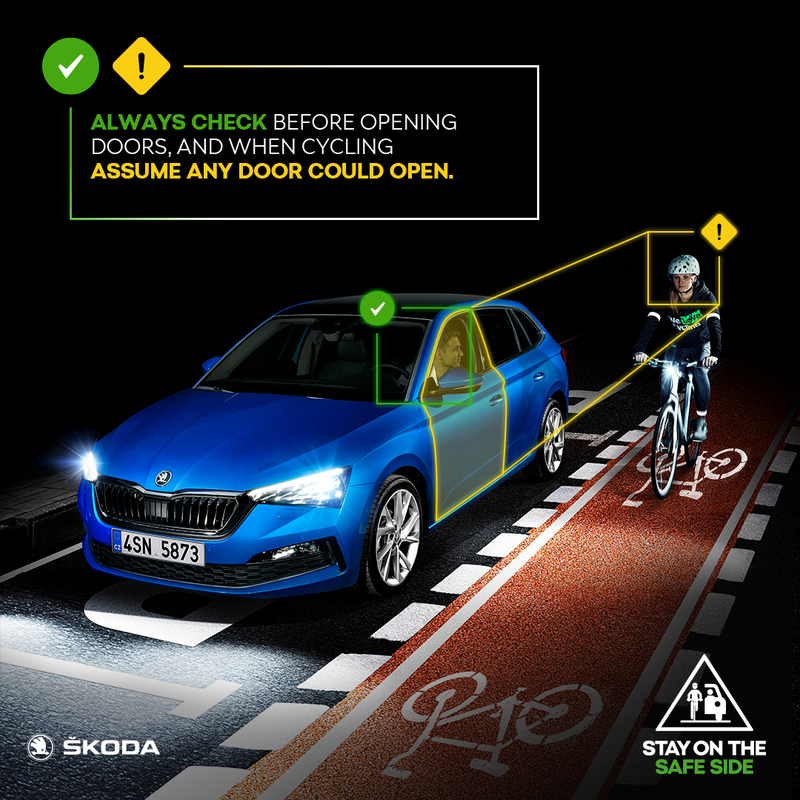 On top of that, ŠKODA regularly introduces electronic safety features in its lower-end cars, one case in point being the recent launch of the ŠKODA SCALA, which has been fitted with Side Assist to monitor drivers’ blind spots, together with adaptive cruise control and a lane assist system. 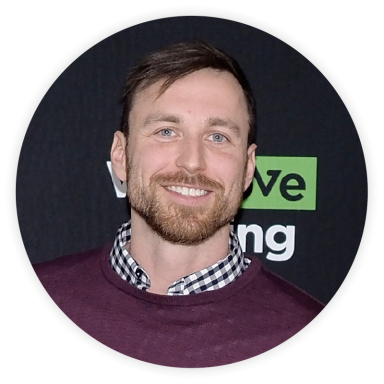 All of the action in the campaign’s videos has been shot with the help of a professional stuntman. To add to the realism, there are no special effects or visual tricks. The appealing visual approach uses videogame-like elements to grab the audience’s attention. Discover more about the campaign here.